Scott Gordon Patterson is an actor and musician born on 11th September 1958, in Philadelphia, Pennsylvania USA, probably best known for his role in “Gilmore Girls” as Luke Danes, and as Agent Strahm in “Saw IV”, “Saw V” and “Saw VI”. His other notable appearances include in TV series “The Event” and TV film “Alien Nation: Dark Horizon”. Patterson is also a musician and the founder of the “SMITHRADIO” band. 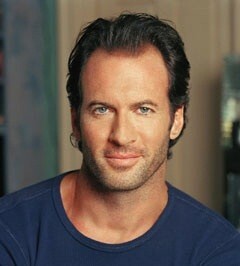 Have you ever wondered how rich Scott Patterson is? According to sources it has been estimated that Scott Patterson’s overall net worth is $15 million, accumulated through a versatile acting career which he started in the early ‘90s. Apart from being an accomplished actor, he is also a musician, which additionally increases his net worth. Since he is still active in the entertainment industry, his net worth continues to grow. Scott was the child of a theatre actress and an advertising executive, but his parents divorced when he was a teenager. As a child he first developed an interest in music, and formed his first band in the third grade, performing throughout grade school and high school until matriculation. Although born in Philadelphia, Patterson grew up in Haddonfield, New Jersey where he attended Haddonfield Memorial High School. He later enrolled at Rutgers University to study Comparative Literature. However, throughout his studies, he developed an interest in acting, and dedicated himself to more detailed studies in New York where his coaches were Robert Lewis and Sondra Lee. At the Actors Studio, he had a chance to learn from stars like Paul Newman, Paul NewmanPaul Newman Net Worth and Frank Corsaro, and also took part in the Producer’s Unit. However, Scott was also dedicated to baseball and spent seven years during the ‘80s as a professional pitcher in minor leagues. His sports career was doing well as he was selected to four All-Star Teams and in 1983 was on the New York Yankees Major League Roster. During his professional career, he played for several teams including the Atlanta Braves, New York Yankees and Columbus Clippers, all of which no doubt added to his net worth. In 1988, Scott decided to form the Arclight Theatre Company in Soho, NYC where he returned to acting and played in several debut productions. During the ‘90s, he also appeared in the films “Her Best Move”, “Little Big League”, “Three Wishes” and several independent film productions. However, it was on television that he gained most attention by portraying mostly romantic roles, most notably in the “Gilmore Girls” as Luke Danes. Some of his other important roles and appearances came in the sitcoms “Seinfeld”, “Will&Grace”, “Fired Up”, “Aliens in America” and others. Patterson played the role of Agent Strahm in the Saw franchise “Saw IV”, “Saw V”, and even in its flashback sequences in “Saw VI”. His net worth was growing steadily. Scott even has a noteworthy producing and music career, as he formed his new band called “SMITHRADIO” in September 2016, and already recording their six song debut EP; one of the tracks, the “HAHA SONG” has been on the iTune’s Indie Rock Song Top 100 Chart since December 2016. When it comes to his other recent activity, Scott reprised his role for the upcoming revival miniseries “Gilmore Girls: A Year in the Life” which premiered in November 2016. Privately, Patterson has married twice. His first marriage was to Vera Davich but the couple separated after two years in 1985. With his second wife, Kristine Saryan, Scott has one child.